The first step in monitoring a net lease investment is getting to know the property inside and out, and that means understanding who the tenant is and how they operate. View the infographic below on the 4 essential questions to ask yourself in order to minimize the risks involved with net lease investments, and to better prepare for the future. 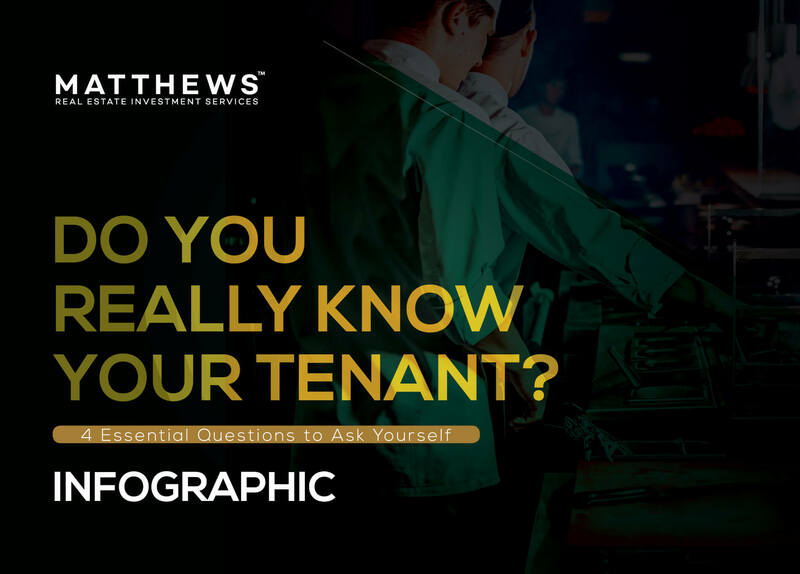 Click Here to View the Infographic and Determine if You Really Know Your Tenant!